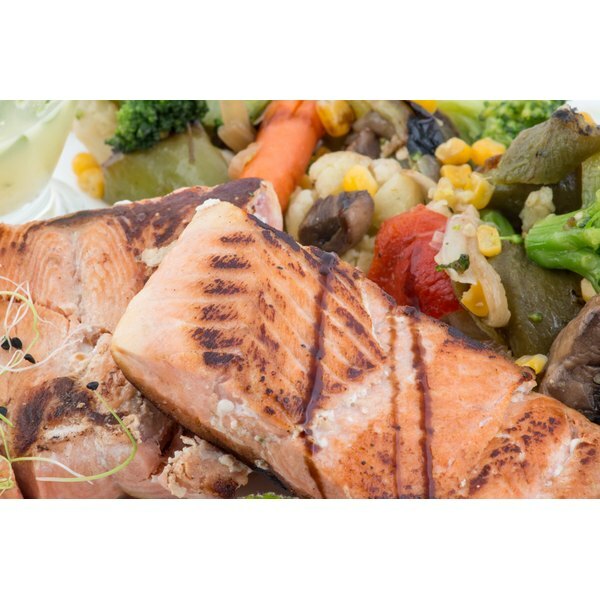 A close-up of grilled salmon and vegetables. Grilling is one of the best ways to prepare fish because the high heat gently caramelizes the outside, bringing the flavor to the fore, while keeping the insides tender and moist. It is not always possible to fire up an outdoor grill, but that doesn’t mean you have to forego the pleasure of seared and succulent fish. A heavy cast-iron grill pan or ridged griddle will give you all of the benefits of an outdoor grill without a single one of the drawbacks. Rinse your fish in cool water and pat it thoroughly dry with paper towels while the pan or griddle is heating. Water droplets left on the fish will not only pop, they can interfere with the searing process so dry each piece of fish carefully. Season the fish with salt and pepper on both sides. Add any other seasonings you prefer, such as sage and thyme, chili powder and cumin, or a packaged spice mix. Drizzle just enough olive oil onto the hot surface of the pan to keep the fish from sticking and to add a bit of flavor. Place the fish onto the oiled surface. Cook the fish for 2 to 3 minutes per side, so that the total cooking time adds up to no more than 10 minutes for every 1 inch of thickness. The fish is done when it is fully opaque throughout and flakes easily. Mix a tiny drop of liquid smoke into olive oil and lemon juice before brushing onto fish for a richer, deeper grilled flavor. 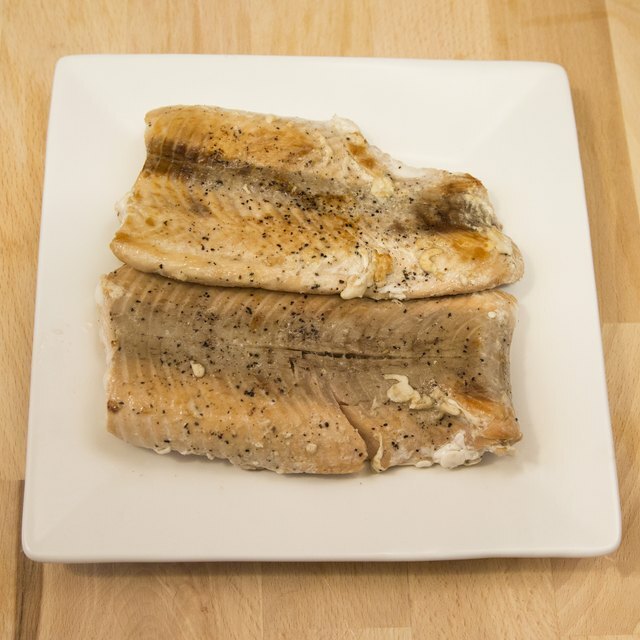 Do not turn fish with a fork because more tender fillets such as Dover sole and tilapia may fall apart.